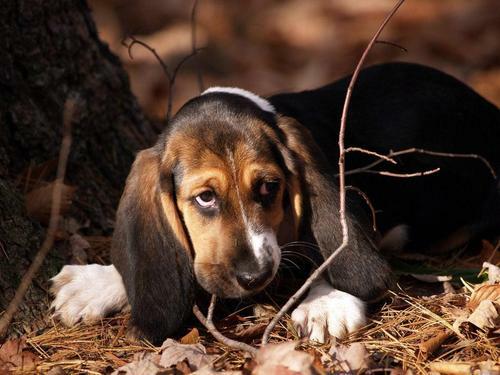 Beagle Puppy. Puppy. HD Wallpaper and background images in the Domestic Animals club tagged: domestic animals pets.. This Domestic Animals wallpaper might contain basset, basset hound, and beagle.